Mets center-fielder Jimmy Piersall set the gold standard for showing up the opposing pitcher, and he did so against the Phillies. On June 23, 1963, the Phillies faced the Mets at Forbes Field. 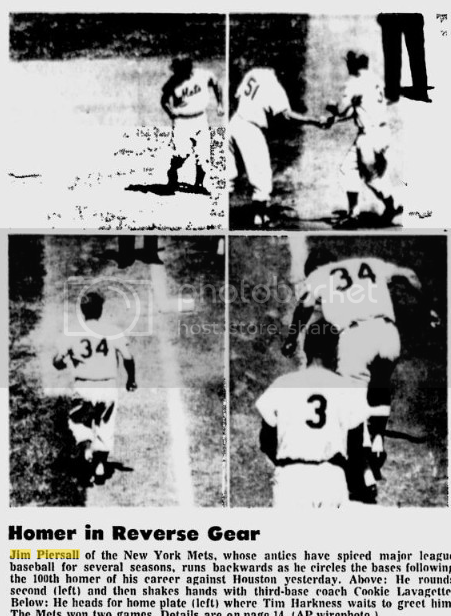 Jimmy Piersall led off the bottom of the 5th inning with a home run against Dallas Green to put the Mets up 2-0. The ball was little more than a pop-fly that just cleared the right field wall It happened to be Piersall’s 100th career homer; and Piersall happened to be certifiable. 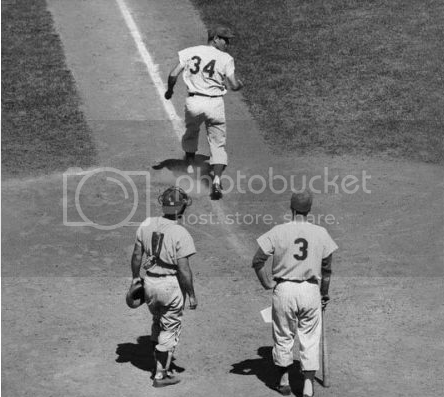 Instead of simply trotting around the bases and quietly celebrating the milestone, Piersall did what he vowed to do: He circled the bases running backwards. The stunt didn’t amuse Commissioner Ford Frick. Although he didn’t reprimand Piersall, he warned that if he ever did it again, “He’ll hear about it. But then he probably won’t hit another 100 so the subject won’t come up.” Casey Stengal, the Mets manager at the time, didn’t approve either. He cut Piersall just two days later.